At the end of Honor at Stake, I hinted that Marco might wander off to San Francisco for reasons that will not be discussed here. However, I had left the position vague, an unanswered proposition. Merle, not content to wait around for an answer, went out and started putting together his own team. However, it's San Francisco, so the pickings are ... slim. Marco has been introduced to one of the locals, and he's trying to at least work his way into their confidence. He's been invited to an "everyone's invited dance," which, to his mind, says "open vampire buffet." Marco entered the dance hall and almost immediately took up position in a corner, smiling an absurd little smile, and basically enjoying the entire ludicrousness of modern dancing … or foreplay, in some cases. Call me a Puritan, but when you're dancing consists of gliding up against each other, that's foreplay. “You’re not dancing?” Yana asked. “Oh. I see.” She looked over his body. “Um … is that a stake in your pocket or are you happy to see me?” she asked awkwardly. Yana blushed again. The music changed to the theme music from Ghost. “Unchained Melody.” It was simple and slow. Most of the floor dissipated except for a few couples who were more interested in dancing than fornicating. His hand dangled a moment longer than necessary, and Yana grabbed it and moved onto the dance floor. As opposed to everyone else, he danced with Yana the old-fashioned way: one hand clasped in another, a hand respectfully at her waist, and her hand on his shoulder. “So, why all the sharp, pointy wooden thingies?” she asked. When the tempo picked up slightly at “Lonely rivers flow, to the sea, to the sea,” Marco smiled. He liked Yana. She was likable, and friendly. She wasn't Amanda, but good company. A laugh escaped his lips. Oh course she's gay! It's San Francisco! Ha! Murphy knows me so very well. In the words of the eminently quotable Darth Vader, this is all too easy. But what would happen if I just jumped right in? It would be obviously too eager, even to the San Francisco flakes. But if I play hard to get…? “Oh, that too,” she said casually. She giggled. How anyone manages to stay so young in this place is beyond me. Vampires are bad enough, but this is San Francisco, where Catholics and Satanists live side-by-side. I arrive a week ago, and already she trusts me enough to stay in such close proximity? Is this the world outside New York, or is it just her? And if it's just her, I want to move to whatever planet she’s from. Yana froze in mid-sway. Her eyes were frozen open in fear. Marco studied the vampires as he approached them. He did some math. He had small, airplane-serving size soda bottles on him, made of glass. Except that the bottles were filled with holy water – some with gasoline, but he wanted to hold off on those for a bit. He had more stakes on him than he knew what to do with. The plan needed to take out the front-runners. A leader and a second in command. Then, he needed to kill the others. 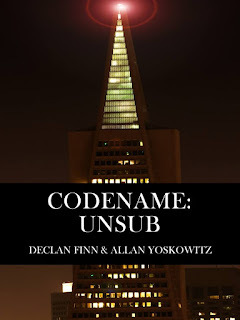 Unless the five of them were here to lead a massacre, they wanted to keep a low-profile – seduce, or mind control victims into a place of privacy. Kill the closest near me with fire / water / stake … stake. Stab for the head … he blocks, rips my arm out. The heart … he blocks faster, throws me across the room. Abdomen, he blocks … he attacks, I block his attack, then kill him. Three down. Watered face #1 should still be feeling the effects. Dispatch him instantly. The second might be operational. Deal with him using fire stake. By the time he had reach the vampires, he had developed a slight, purposeful and drunken stagger. He held up two of his soda bottles with holy water in them, the caps already open. “Drinks, guys?” he asked, slurring the words. The vampires closest to him looked at him with disdain. The other three didn't even look at him – too busy checking out prey. Marco's fists shot forward, jamming the soda bottles into their mouths, open-parts first. His hands dropped down and slammed into their chins, forcing their teeth to crush the bottles, spilling holy water everywhere. Marco shot between the two dying vampires as he suddenly had the attention of the other three vampires. He already had two other bottles of holy water in his hands and hurled off to either side, striking the vampires at either side of the formation. He flicked his twist, releasing a stake into his hand and whirled to his right, at the nearest healthy vampire. The vampire he attracted swept his arm down like a pendulum swing, blocking the attack wrist-to-wrist. At the same time, the vampire punched for Marco's face. Just like Marco had planned. Marco intercepted the strike, redirecting it with an open palm. The punch went right by his head. Marco stabbed into the vampire's arm, driving the stake all the way through. This was one of Marco's special stakes. He had a firecracker taped to one side of it. This wouldn't have impacted the vampire … except that the stake had been soaked in turpentine. Marco kicked the vampire away as his arm burst into flame, dismissing him as dead already. Marco leapt upon the next vampire, who was still blinded by holy water to the face. Three good stabs to the chest, and it was dead and dusted in seconds. Marco whirled on the last vampire standing, the second one he had hit with holy water. That vampire was still blinded by the holy water, but was reaching inside his coat anyway. Marco spotted the H&K MP5K submachinegun. That math was even easier. I run at him, he cuts me down with blind-fire. I run away from him, he sprays and prays, and cuts down bystanders. Marco reached into his jacket and drew two more glass soda bottles, and hurled them for the vampire. The vampire did exactly as Marco expected, and swatted them both out of the air with no problem, moving with the speed and ferocity of a bullet. Had the vampire moved slower, it would have lived. Instead, the impact activated the blasting caps on the inside of the bottlecaps. The blasting caps ignited the volatile mix of styrofoam and gasoline in the bottles. This mix is commonly known as homemade napalm. When all was said and done, from the opening salvo to the second the final vampire burned to dust took all of ten seconds. The sounds had been covered by the opening chords of Nightwish's “Everdream,” and the crowd had mostly been blinded by the flashing lights that Marco had so hated of modern dance halls. By the time Yana had found Marco, he was already leaning up against the wall, eyes closed, as though taking a nap. She threw herself at him, hugging him. “You were awesome,” she shouted, barely heard over the music. Marco smiled. Well. I’m in, just as Merle Kraft wanted me to be. 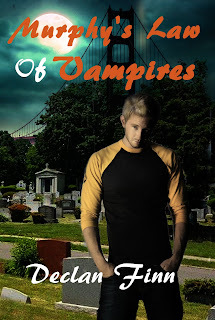 Click here to Preorder Murphy's Law of Vampires, and click here to purchase the prequel, Honor at Stake. 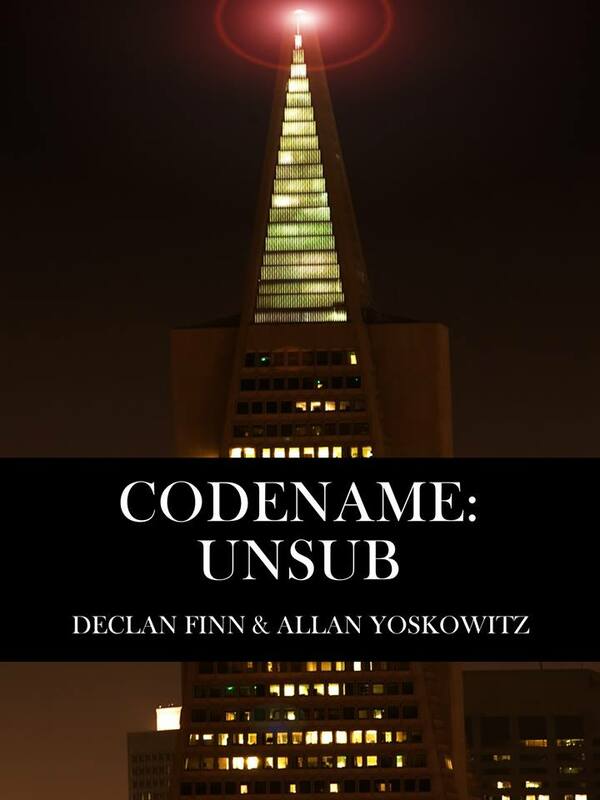 Or, if you're just waiting for the book to hit the shelves, we've got a book already out for you, called Codename: Unsub.